Hello friends. Wishing you a good Monday. We had a lovely rainy weekend. A bit of a fall weather. It was even a bit "cold". An overall relaxed weekend. Always in need of those, right?! 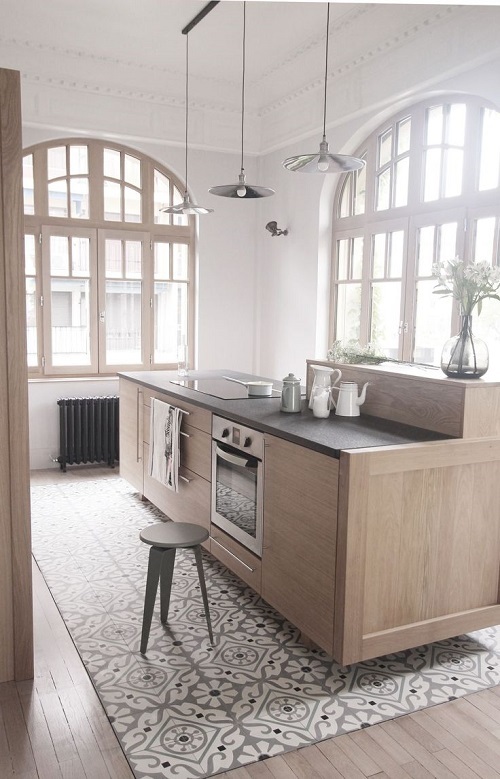 Today I wanted to share with you the great combination of a tile floor with a wooden floor. You will likely find this combination in the kitchen or in a hallway. Great way to work with different kind of tiles to make a creative design with the wooden floor. Check out these ideas. 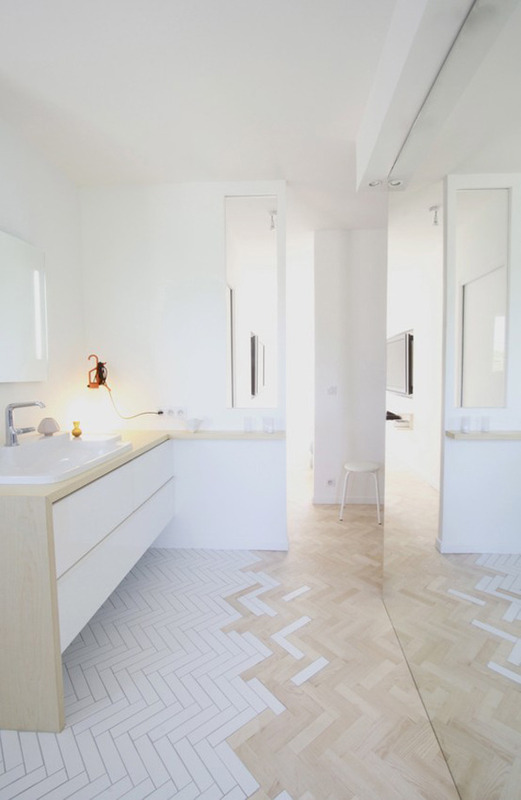 Get more tile inspiration on my pinterest.